As a leader in our industry, our commitments to our customers, staff and the environment are extremely important. That’s why we have strict procedures in place, together with the international accreditations that demonstrate those commitments in terms of quality, consistency and responsibility. To view our accreditation documents, visit the downloads section. 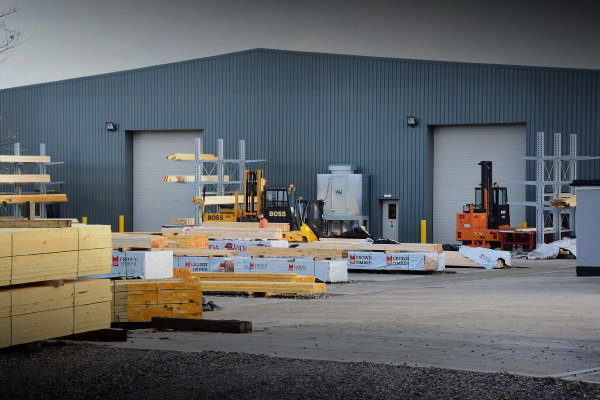 Our designers create the optimum value in timber structures wherever they’re used, working with leading housebuilders, architects, specifiers and developers. 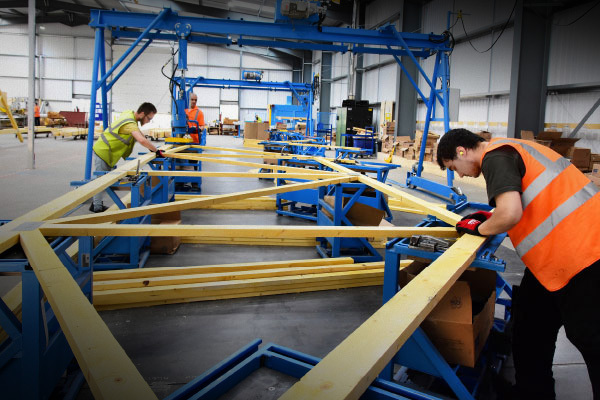 They can provide detailed designs for any element of your timber engineered project, whether it’s housing or commercial, a high density development or a complex, custom-made structure; and with 50 years’ experience behind them, our designers are some of the best in the business. 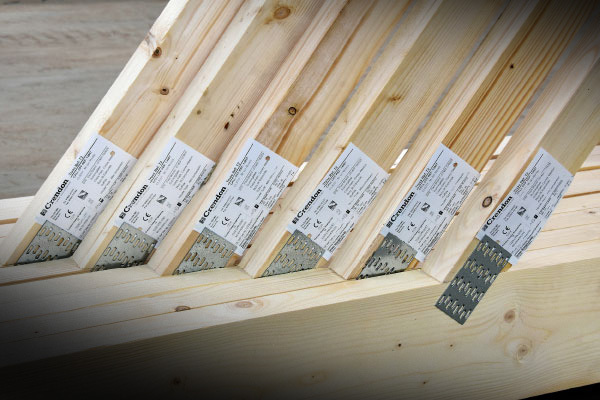 More new homes are needed, and quickly – engineered timber is an ideal way to meet both needs easily. 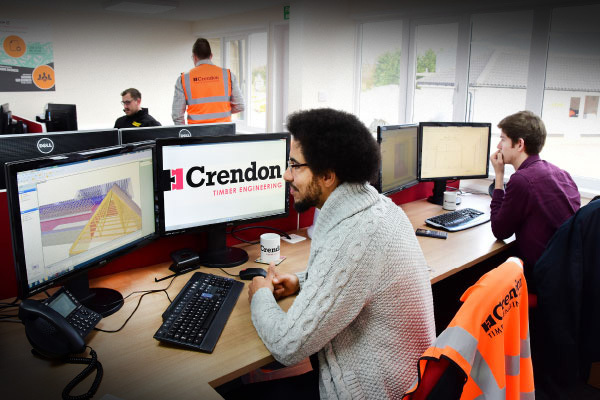 We’re constantly working alongside customers on ways to deliver new levels of on-site efficiency, exceptional service and innovative thinking. Using the latest technology and ideas, we can work with you to create innovative roof and wall solutions that save time and money on-site. 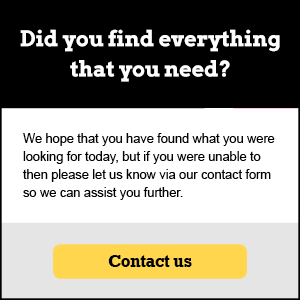 Our aim is to make sure your build goes as smoothly and efficiently as possible. That’s why our products are made to order for a perfect fit, and delivered in line with your schedules so you don’t have the problem of storing bulky items until you need them. 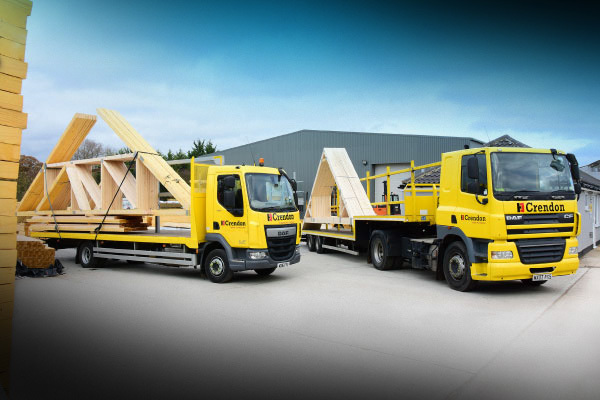 They can also be delivered complete with one-use slings in line with HSE best practice, enabling you to lift trusses directly from the lorry to the roof thereby improving safety on-site. To safeguard your site and the people working there, we take health and safety very seriously. Our aim is to reduce risk and improve safety throughout our supply chain and our policies and procedures reflect this. For your peace of mind, we have CHAS and SMAS accreditation plus our Contracts Managers hold SMSTS certificates and site foremen SSSTS certificates. To view our certification documents, visit the downloads section. To make sure we and our products have as little impact on the environment as possible we use certified timber in our products, make sure our production processes are environmentally responsible and take steps to reduce carbon emissions, even down to the transportation of our products. 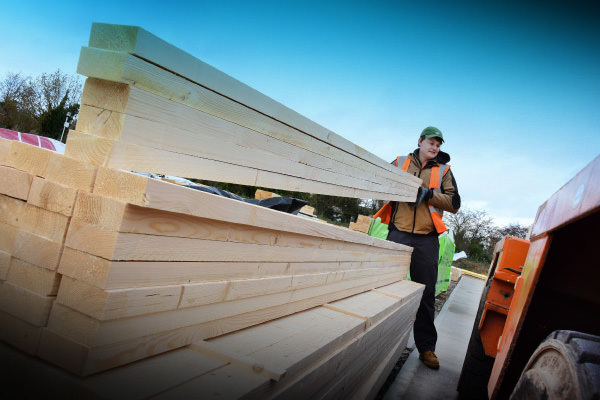 We are committed to supplying PEFC accredited timber, are members of the acclaimed Supply Chain Sustainability School, and our Environmental Policy even utilises wood waste for heating. To view our sustainability documentation, visit the downloads section.